PluralEyes - Audio/Video sync in seconds. 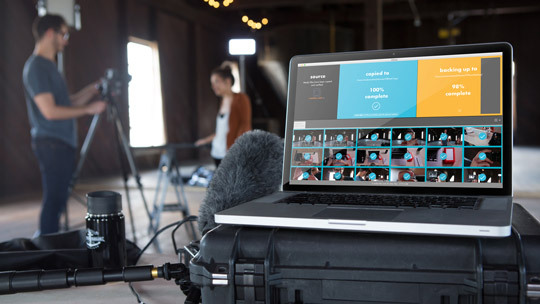 PluralEyes syncs audio and multi-camera video automatically, preparing your sync in seconds rather than days. This standalone application works directly with Final Cut Pro, Premiere Pro, Media Composer and Vegas Pro, and can easily export media files for use with other NLEs. Monitor the sync with an interactive timeline and visual feedback, and use built-in fine tuning controls afterward. Use PluralEyes to revolutionize your audio/video sync in post-production. Red Giant Offload - A simple, stand-alone application for safely offloading and backing up your footage from your camera's media card to your computer and/or external drives. Offload works with virtually all cameras, cards and media formats. No special hardware is needed, so Offload is ideal for use on set, in the field, or for when you return home. It's the fastest, simplest way to ensure your footage is protected. Red Giant Instant 4K quickly upconverts your video into a variety of high resolution formats with outstanding results. It's intelligent algorithms generate new pixels to match the dimensions of the desired resolution, then adds sharpening and anti-aliasing to preserve the image details. Using our advanced upconversion algorithms, Instant 4K produces higher quality results than the scaling tools provided by host applications - After Effects and Premiere Pro. Instant 4K comes with easy to use presets that make it simple to up-convert your footage to 720P, 1080P, 2K and 4K and more. Red Giant Frames - Add a 24p film look to your video footage. 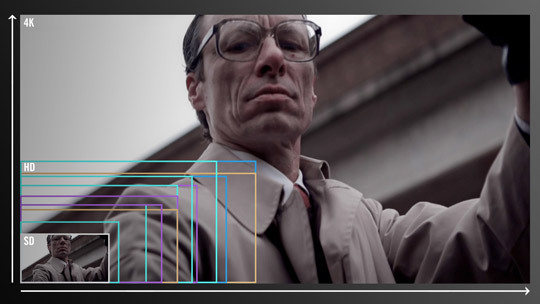 Start with ordinary interlaced video, and apply Red Giant Frames' sophisticated algorithms. 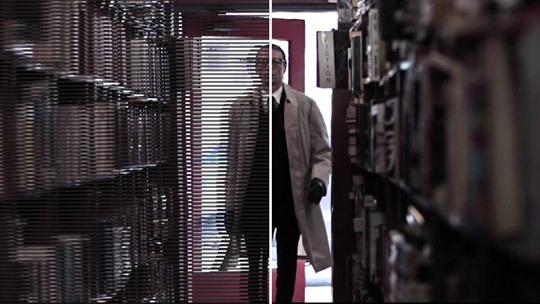 You will instantly get the smooth, deinterlaced look of 24p film that is artifact-free. Choose between field-blended and motion-adaptive approaches to frame interpolation, along with helpful features like letterboxing and broadcast-safe color check. With the six tools in Frames, you get a true 24p conversion from NTSC, PAL or HD interlaced formats - with high quality results inside your favorite editing timelines.